Lloyd, Richard with Marco Livingstone and Norman Rosenthal. Allen Jones Prints. 1995, Munich/New York, Prestel, plate 32, illustrated full page (another example), also p.116, no.45a, illustrated (another example). 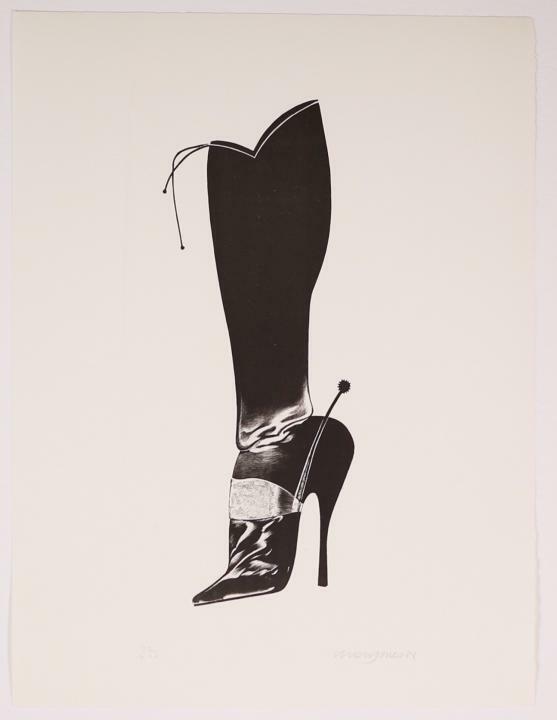 Executed in 1968, the present work is from the Shoe Box portfolio which originally comprised a set of seven lithographs printed in black, an embossed color silkscreen title page, and a polished aluminum sculpture.